Lewes FC Women are proud to welcome to the club two new signings who will never score a goal, never save a shot and never kick a ball. But both are vital additions to the team. As part of the club’s elevation to the new FA Women’s Championship, the FA allocated grants to each club to enable them to employ a General Manager and a Marketing Manager for the women’s team. 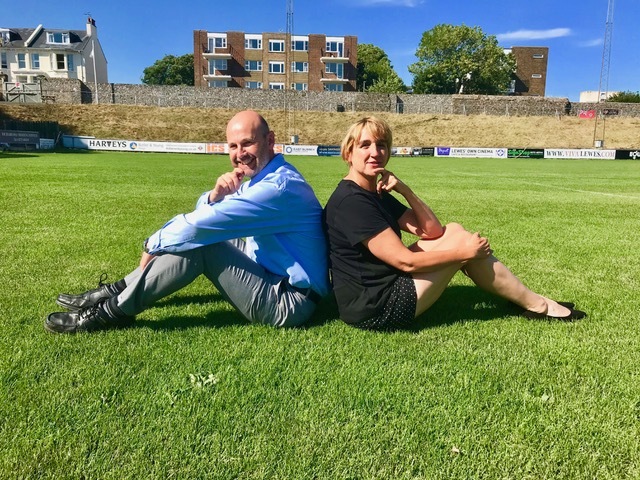 So, after an extensive interviewing process, Lewes FC Women appointed Jack Heaselden as General Manager and Rosy Matheson as Marketing & Development Manager. Both have been working at the club for a number of weeks, but the international break gives us a chance to make the official announcement and thank the FA for its continued support for women's football.